The Giulietta was the replacement for the successful 147 hatchback (which was launched way back in 2000) and has been the mainstay of the Alfa Romeo range since. The Giulietta was the replacement for the successful 147 hatchback (which was launched way back in 2000) and has been the mainstay of the Alfa Romeo range since. It’s distantly related to the old Fiat Stilo (albeit it’s far more sophisticated than that) and loosely based on the same platform that you’ll currently find under other Fiat-Chrysler models such as the Jeep Cherokee and the US-only Dodge Dart. 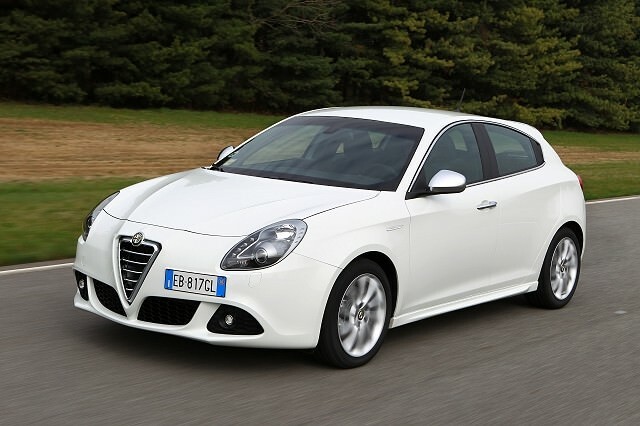 The Giulietta is a rival for the likes of the Mercedes-Benz A-Class, Audi A3 and upper-echelon models of the Volkswagen Golf, and like those cars is a front-wheel drive five-door hatchback. There has never been a three-door version. Most Giuliettas that you’ll come across will have a 1.6-litre diesel engine, which is a decent unit with a good deal more torque (320Nm) than you’d find in most comparably priced rivals. That gives it some serious performance potential for what is, under the shiny, rather gorgeous bodywork, actually quite a sensible five-door hatch. There’s decent space in the rear seats and boot, and the overall levels of build quality are pretty good - those worried about old-school Alfa reliability should feel reassured as the Giulietta seems to have developed a good reputation for solidity. Small niggles such as minor electrical hiccups or stuck fuel filler flaps seem to be the only worries. Early cars did suffer from a couple of notable drawbacks though - refinement was definitely an issue with diesel engined models and the front seats on early cars were criticised for not offering enough support. When it was launched, the Giulietta came in four trim levels - Turismo, Lusso, Veloce and Cloverleaf. Basic Turismo cars came with such niceties as LED daytime running lights, air conditioning and all-round electric windows. Lussos got cruise control, split-zone climate control and Bluetooth. Veloce models added 17-inch alloy wheels and gorgeous, retro-looking ribbed leather bucket seats. Cloverleaf trim was reserved for the ultimate Giulietta - the 230hp 1750 TBi, a rival for the likes of the Golf GTI and Ford Focus ST.
Other available engines were a 1.4-litre petrol turbo with either 120- or 170hp and a 2.0-litre diesel with 140- or 170hp. All came with a six-speed manual gearbox as standard, and Alfa offered a six-speed dual-clutch automatic transmission as an option from 2011 onwards. The Giulietta got a major update in 2014, with improved interior quality and much better refinement and seats, as well as a new uConnect touch-screen infotainment system. Find a nice, low-mileage 120hp 1.6 diesel in either Lusso or Veloce trim.